Understanding when to call an eye doctor is the key to taking care of your vision. 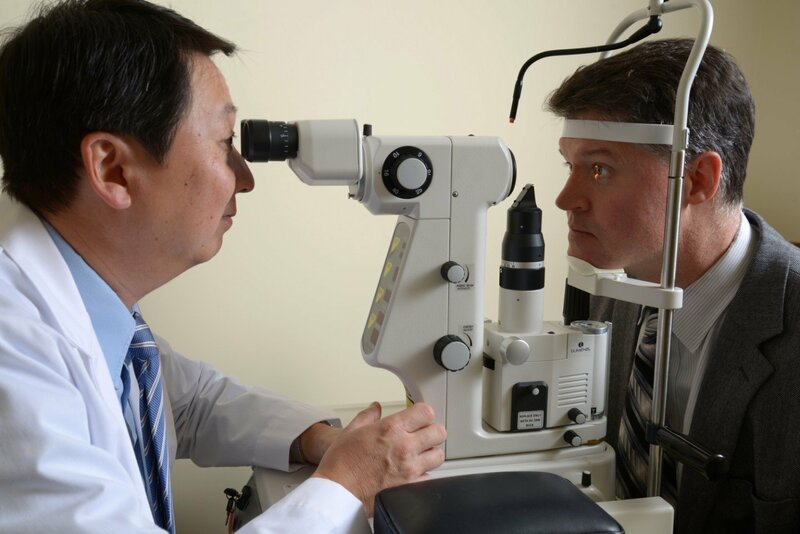 We’re sure you know that you should visit with an ophthalmologist at least once a year for an annual eye exam. But just as you’d visit with a doctor between annual physicals if a problem arose, patients are advised to make emergency eye appointments when necessary to help ensure that their eyes get additional care when necessary. Eye pain: Eye pain is a symptom that should never be ignored, as this symptom could indicate problems such as a corneal ulcer, an infection, or even inflammation of the nerves of the eye. Pain that is accompanied by blurry vision, discharge, redness or teariness should be investigated immediately, as this may indicate a serious eye problem that could permanently damage your vision. While it doesn’t hurt to call your eye doctor for advice, depending on the severity of your symptoms, you may be asked to visit an ER for immediate examination. Discharge: Discharge from the eye may be caused by a number of things. Some causes, such as allergic reactions, can be managed at home. Other causes, such as an infection, need additional and proper treatments. Due to the number of possible causes of eye discharge, it’s important to visit with an eye doctor when it develops to make sure the cause isn’t serious - especially since even minor causes, like allergies, can sometimes contribute to the development of pink eye, or conjunctivitis. Severe irritation: Severe irritation is a symptom of both minor and major eye issues. For example, irritation is a common allergy symptom; however, it’s also a symptom of many infections, including conjunctivitis. It can even develop if the contacts you’re wearing do not fit in your eyes quite right. Because of this, it’s important to report irritation to your eye doctor (particularly if it does not respond to normal treatments for allergies or other preexisting conditions) and to schedule an appointment to find the cause of the problem. Headaches: While we all develop headaches on occasion, if you find yourself regularly experiencing them - and you wear contacts or glasses - you may want to schedule a visit with an eye doctor. Headaches are a symptom of eye strain, which is very easy to fix with a visit with an updated prescription for your vision tools. In addition to monitoring for these symptoms, we encourage patients to watch for changes in the appearance of their eyes. While this may not indicate a vision problem, it could be a sign of an underlying health problem. For example, a yellowing of the whites in the eyes may indicate a developing case of liver disease, and the appearance of differently-sized pupils may indicate a possible brain tumor or stroke. Any changes in your eyes should be reported to your eye doctor or doctor.